My Daily Art Display painting for today follows the theme of yesterday’s offering. Once again I am featuring a painting which highlights the savagery of war. This is another realistic depiction of the horrors of war which are often badly received by people who prefer to just see depictions of glorious victories, heroic acts and the happy return of our fighting men. Sadly these kinds of pictures give one a false impression of the reality of war and it is sad to think that some of us want to close our eyes to what a war really is about and the terrifying effect it has on those who have to fight for somebody’s cause. My painting today is entitled Gassed and is by the American artist John Singer Sargent which depicts the horrors of the trench fighting in the First World War. It is a massive painting measuring 231cms high and 611 cms wide (91 inches x 240 inches) and can be seen in the Imperial War Museum in London. John Singer Sargent was an American painter. His parents were Americans but he was actually born in Florence where the family had moved to as an aid to his mother’s health. The family travelled extensively throughout Europe. Sargent loved his country yet he spent most of his life in Europe. He became one of the most celebrated portraitists of his time but at the very height of his fame as a portrait painter he decided to devote full time to landscape painting, water colours and public art. In the early days he was schooled as a French artist, and was greatly influenced by the Impressionist movement, the Spanish master Velazquez, the Dutch master Frans Hals, and his art tutor, the French painter, Carolus-Duran. 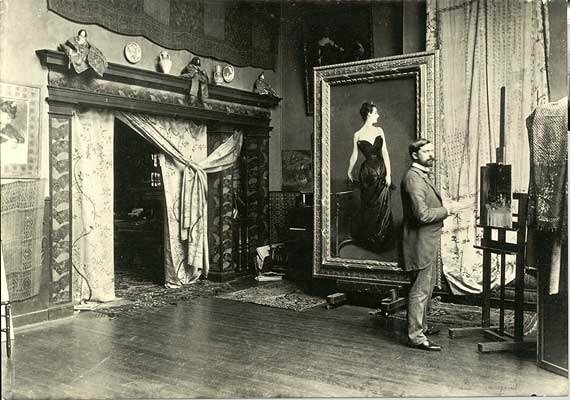 He was the toast of Paris until the scandal of his Madame X painting at the 1884 Salon. 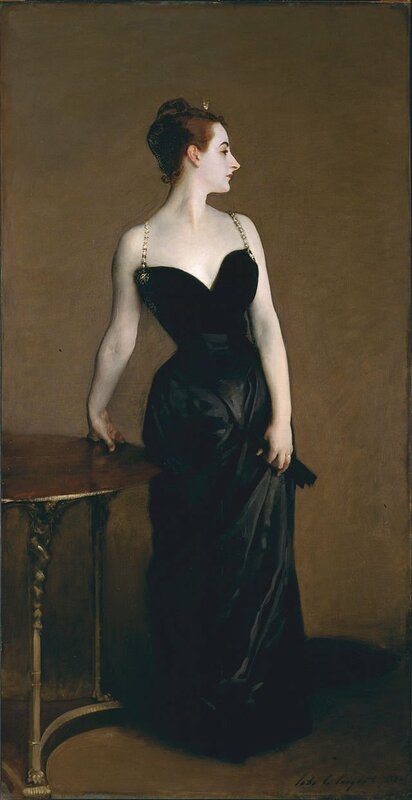 Sargent painted the portrait of Madame Pierre Gautreau, entitled Madame X, wearing a very risqué off the shoulder gown. It was also shockingly low-cut. Her mother asked him to withdraw the painting but he refused. Although, now it is acclaimed as his best work of art, it scandalised Paris society and he was widely criticised in Paris art circles for being improper. Sargent found the criticism unjustified and at the age of 28 he left Paris disillusioned by the incident and the fall off of sales of his paintings and moved to London where he remained for the rest of his life. It was here that he reached the pinnacle of his fame. 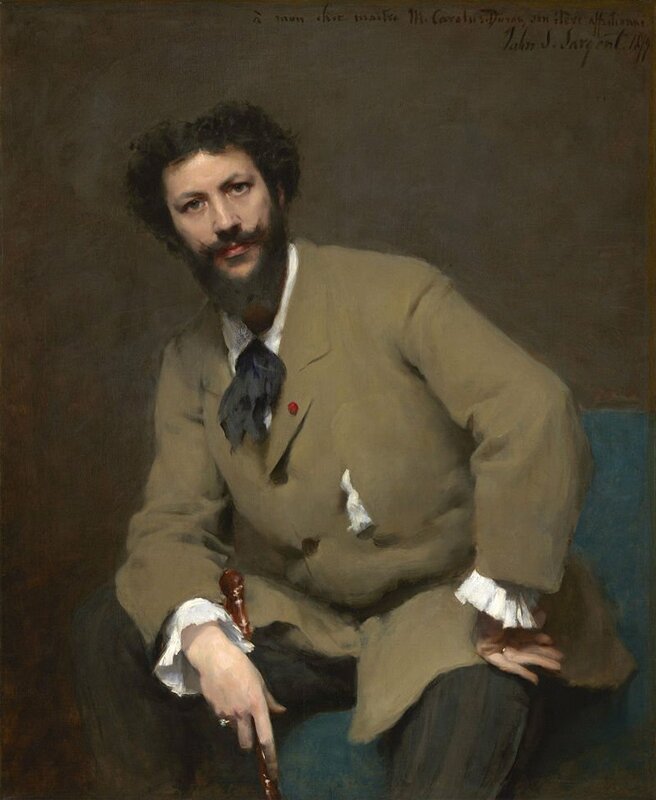 It was thought that to have one’s portrait painted by Sargent was to have it painted by the best portraitist of the time. In some ways it is disappointing to realise that as an artist he has sometimes been dismissed as he was never looked upon as being radical or a trend setter. He was an artist who worked within known and accepted styles. He was a prolific painter, painting over 2000 watercolours. He was a very successful portraitist but labelled portraiture as “a pimp’s profession” and in 1907 he announced that he would paint “no more mugs” and with a few exceptions kept to his word. His new love was to paint landscape watercolours. So today’s featured painting was very different to his normal works. It is a scene Sargent witnessed in August 1918 at Le Bac du Sud on the road between the French towns of Arras and Doullens in the Somme area of Northern France. We see a line of nine soldiers, blinded by mustard gas, being helped along a boarded path by two orderlies towards a medical station. The medical post is out of sight to the right of the scene but we can make out the guy ropes which support the tent-like structure. The line of men who struggle to make their way towards the tent are silhouetted against the golden sunset sky. In the left background we can just make out some bivouacs and to the right we see another line of wounded men being led towards the medical facility. The foreground of the painting is littered with the wounded lying at rest, many with their heads bandaged. Behind the wagon that we flung him in. (It is sweet and right to die for your country). In other words, it is a wonderful and great honour to fight and die for your country. Sadly as the young men sang joyfully as they marched towards the trenches in Northern France, little did they know of their impending fate. Ironically, for many people of the time who supported Britain and France’s war against the Germans the words had specific relevance. The first line of Owen’s poem is inscribed on the wall of the chapel of the Royal Military Academy of Sandhurst. My Daily Art Display today is a tale of two artists who were very close friends. One is the great American Impressionist John Singer Sargent, the other is the French painter Paul César Helleu. Today’s work of art is a picture by the American artist Sargent of the French painter Paul César Helleu and his wife Alice Guérin. 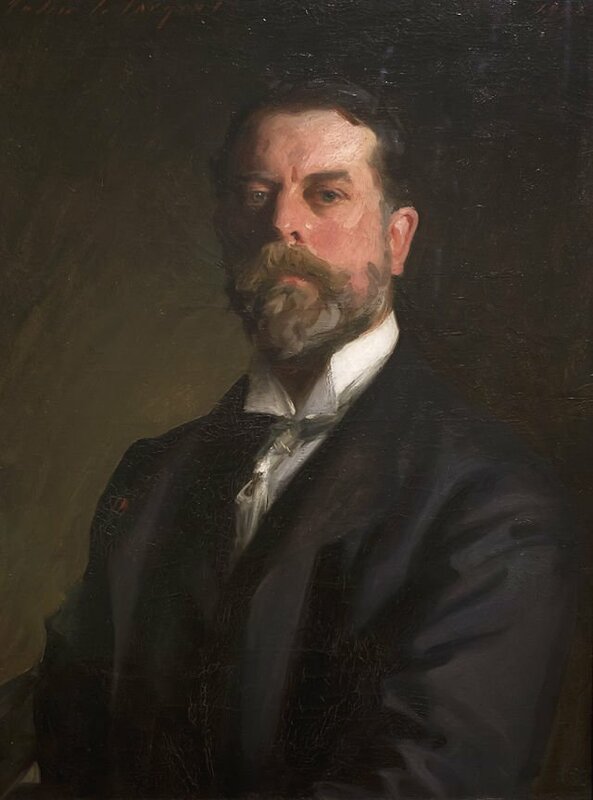 John Singer Sargent was to become a leading portrait painter of his era. His family were extremely wealthy, his father, Fitz William, being an eye surgeon in Philadelphia. 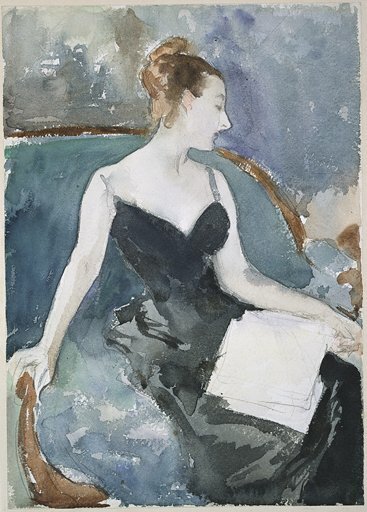 Sadly Sargent’s mother, Mary (née Singer) suffered a nervous breakdown after the death of her daughter and to aid her recovery her husband decided that his wife and their family should go to Europe to allow Mary to convalesce. Whilst in Europe, they travelled extensively. 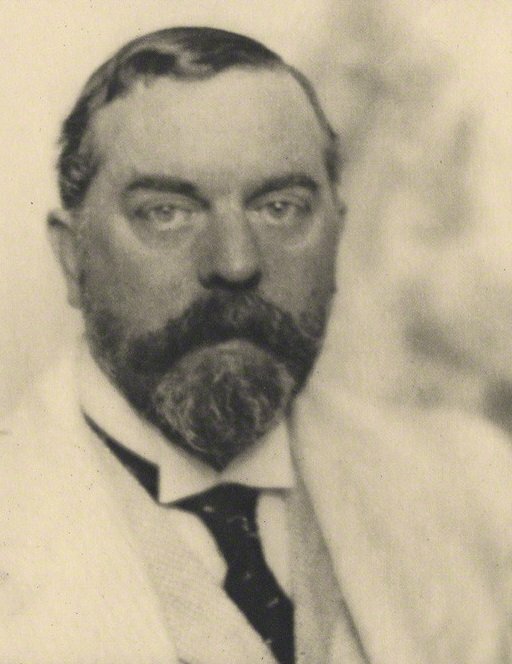 John Singer Sargent was born in 1856 whilst his parents lived in Florence and his sister Mary was born there a year later. After much discussion and to please his wife John’s father reluctantly relinquished his post at the Philadelphia hospital and remained in Italy were they led an unassuming lifestyle relying on a small inheritance and what savings they had managed to accrue. John Singer Sargent proved to be a rebellious child who would not take to formal schooling and so was taught by his parents. His mother was a good amateur artist and she soon got John interested in that subject. His parents must have provided him with a good education as by his late teens he was fluent in French, Italian and German and accomplished in art, music and literature. No doubt the extensive travelling of European countries by the family improved his education. He gave his friend a thousand-franc note for the painting. Can you imagine how Helleu felt on receiving such a large sum of money for one of his paintings ? In 1884 Sargent painted the portrait of Madame Pierre Gautreau, entitled Madame X, wearing a very risqué off the shoulder gown. It was also shockingly low-cut. Her mother asked him to withdraw the painting but he refused. Although, now it is acclaimed as his best work of art, it scandalised Paris society and he was widely criticised in Paris art circles for being improper. Sargent found the criticism unjustified and at the age of 28 he left Paris disillusioned by the incident and the fall off of sales of his paintings and moved to London where he remained for the rest of his life England. He died there in 1925, aged 71. My Daily Art Display painting today is entitled Paul Helleu Sketching with his Wife which he completed in 1889 and is in the Brooklyn Museum, New York. 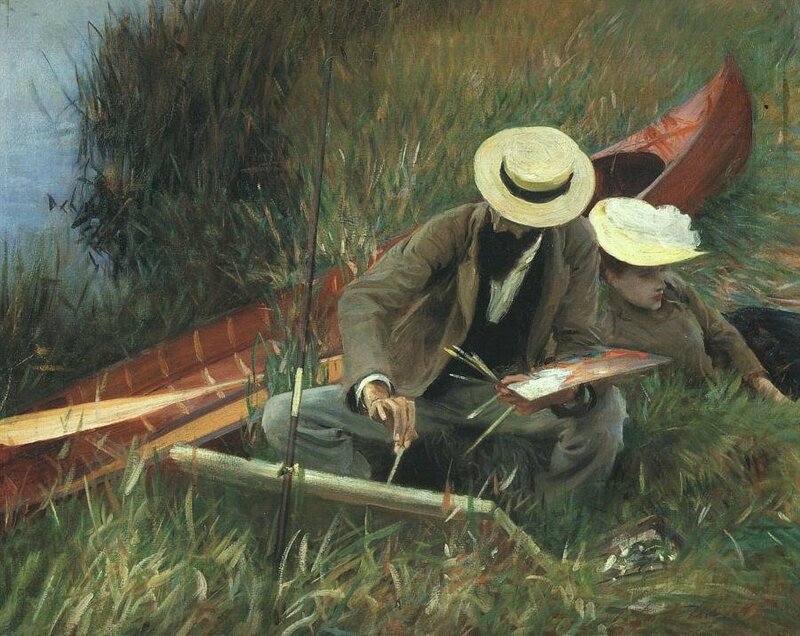 It is difficult to put a name on Sargent’s genre of painting. He was a prolific painter, painting over 2000 watercolours. He was a very successful portraitist but labelled portraiture as “a pimp’s profession” and in 1907 he announced that he would paint “no more mugs” and with a few exceptions kept to his word. He loved to paint landscape watercolours. Today’s painting of his is very much in the characteristic style of Impressionism.